Yesterday morning I posted about blogs on Blogger platform gets redirected to country-code top level domain (ccTLD) which they did without any prior notice and because of this many users/Bloggers are not happy with it. As Google mentioned in their support page that over the coming weeks they will apply this to for almost every country. But there are some reasons behind this because of which they are doing and also the solution which can minimize any negative effect of SEO. Blogger team is trying their best to minimize any negative effect of SEO on your blog, as they have added 302 temporary redirection instead of 301 permanent redirection. They have added rel=canonical in each page of your blog which have your *.BlogSpot.com blog value in it, rel=canonical will only show till you don’t manually remove this below code from your Blogger template <head> tag. If you are using costume domain this blog post is not for you but if you are not using any custom domain and using Blogger’s free BlogSpot domain then this will help you. Below mention workaround will help you in redirecting your ccTLD Homepage to *.BlogSpot.com domain homepage. So if your readers visit your blog ccTLD homepage they will get redirected but if they will visit to ccTLD of a post page or any other they won’t get redirected. All you need to add this code in your Blogger Template HTML page, to add go to Blogger Dashboard –> Design/Template –> Edit HTML. Update [March 23, 2012]: Get the new code from here which will for all domains, you just need to copy-past it to your bog template. And make sure you change the example with your blog name. 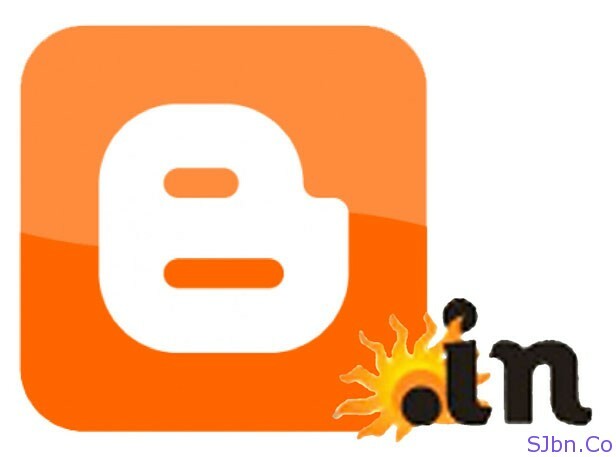 For instance if your blog URL is Jajodia-Saket.BlogSpot.com then change example with Jajodia-Saket. You will find example written many time in this code so you need to change each of them to make this work correctly. I will update this code as I will get to know about ccTLDs, which Blogger started using and if you know any other ccTLDs which is not yet added in this code please comment below. Note: – In case if you are using Blogger’s new Dynamic View template then this will not work for you. You can add ncr (no-country redirection) after the *.BlogSpot.com domain, e.g. : example.blogspot.com/ncr now it won’t get redirect to ccTLD. But you will still able to get access to them via other ccTLDs also. If you want to get access to BlogSpot domains with not your local ccTLDs so you can add ncr after them also as Google redirect them to your local ccTLD. E.g. : example.BlogSpot.In/ncr or example.BlogSpot.com.Au/ncr.